Dharma: an individual's duty fulfilled by observance of custom or law. Seeing as my moniker is track 17 from Exile on Main Street, I couldn't let HBO's recent broadcast of Crossfire Hurricane go by without an opinion (or three). Obviously, I am a huge Rolling Stones fan. I don't think there is a playlist on my ipod without at least one of their stellar tracks. Moonlight Mile seems to always work alongside a downward facing dog. 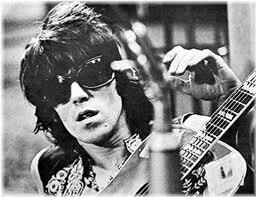 So how can anyone go wrong with 50 years of the Glimmer Twins and co.? Well, the biggest - and in my opinion - lethal error of CH was apparently at the insistence of the boys themselves: that the interviews solely be conducted in an audio fashion. Maybe it was the British accents; maybe it was Jagger's insistence that "bad behavior" led to them "behaving badly" (I'm paraphrasing); the audio lent an uncomfortably Spinal Tap quality to the full two hours. HOWEVER, a little Nigel Tufnel never hurt anyone and I did pretty much feel CH was awesome. Charlie Watts was the biggest revelation of the night. Talk about following the path. He could not give even one fig about the glamours or the celebrity, but hey, why the hell should he? He's playing in the greatest rock and roll band EVER. And let's face it, they were great even in their infant stages. The early footage is eerie, it's so good. He also had crazy cool hair (yes...I love a drummer with long locks and no ego).